It's been a long time since we've done a giveaway so I figured why not start off with an awesome Global Goddess Giveaway! 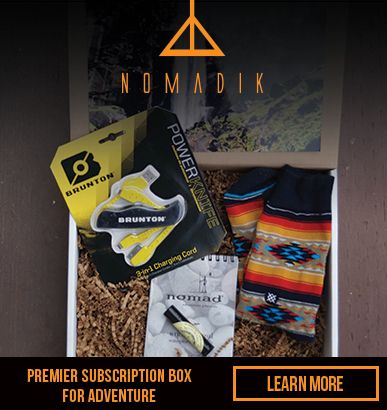 We have an awesome set of eye products to give to one lucky reader! What's in the set? First I would like to tell you about the Exotic Eyes Blackest Black Nourishing Mascara. This mascara is one of my favorites, simply because of how strong it is against my busy day! I am constantly running in a thousand different directions and one thing I noticed is this mascara holds up past my expectations. It's smudge proof, tear proof, sweat proof and run proof says the packaging and I proved it true!. When I put it on, I instantly like how it feels. It doesn't clump or even pull your eyelashes together for that "thicker" look. It defines them and feels great! Besides for the great durability, what makes it so different than the rest? The ingredients! Containing Japanese Camellia Seed oil, it nourishes, moisturizes and strengthens lashes. Then it also contains Aloe Vera which also strengthens, conditions, moisturizes, and promotes healthy lash growth. And of course, the Exotic Eyes Blackest Black Nourishing Mascara is paraben, sulfate, and fragrance free! Now the Coconut Amla Lash & Brow Conditioning Serum was something I was a little iffy about. This is a great product to add to your nighttime personal care routine. Simply apply a coat onto your clean lashes or eye brows. The abundance of natural ingredients provides treatment and prevention to your lashes and eye brows. Check out this massive list of natural ingredients. Pelvetia Canaliculata Extract and Laminaria Digitata Extract - obtained from brown algae or seaweed found only along the shores of Europe, these extracts are filled with amino acids that fuel lash growth, prevent and treat damage, and give lashes and brows a natural shine and luster. Cocos Nucifera Coconut Extract - found mostly in the tropics, coconut extract is rich in antiviral, antifungal and antibacterial properties. This extract is also an excellent humectant that hydrates, conditions and moisturizes. Grape Seed Extract - Grape seeds’ oligomeric proanthocyanidin complexes, flavonoids, Vitamin E and linoleic acid content helps prevent free radical damage. This extract has been found to be effective in preventing and treating hair loss or for promoting lash and brow growth. Urtica Dioica Nettle Extract - an herb used for centuries to treat multiple ailments because of its natural anti inflammatory effects, stinging nettle has been gaining popularity in treating hair loss. Horse Chestnut Seed Extract - another herb high in active components escin and sterols with anti inflammatory benefits and antioxidant flavonoids with anti inflammatory and antibacterial activities. Apple Fruit Extract - one of nature’s best gifts, apple’s vitamin and nutrient content helps rejuvenate and promote growth of dull, thin lashes and brows. Witch Hazel Extract - has rejuvenating, medicinal and healing benefits. It adds volume, shine and luster, and prevents and reduces lash fallout. Amla Fruit Extract - used in traditional medicine for thousands of years, this Indian Gooseberry extract is high in Vitamin C and polyphenols. It gives lashes and brows natural shine, prevents hair loss, and deeply conditions. Rosa Damascena Flower Distillate - this expensive Bulgarian Rose extract has excellent emollient properties for moisturizing, conditioning and hydrating brows and lashes. It also offers antiseptic and anti inflammatory properties. Last but not least; is the Sizzling Serengeti Tribal Eyeshadow Quad. I wasn't able to test out this one so I can only provide you with the companies picture. But I do love those colors!!! 1. Visit efficientliving.com and comment on products contestant would like to try on blogger's site. If you have been following us for a while, then you know I am a scent junkie. 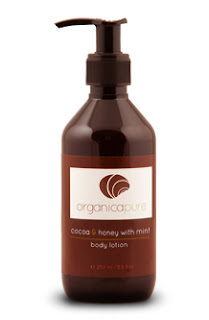 So when I found OrganicaPure Cocoa & honey body lotion I fell in love! Not only with the minty fresh smell but the refreshing texture. OrganicaPure uses Mayan’s finest cocoa and high quality honey to nourish your dry skin. The texture of the lotion is also amazing. I especially loved how after rubbing it in there was no oily residue left on my skin. I can’t stand it when lotion feels like an oil glove leaving me afraid to touch anything else. What makes this lotion not your ordinary lotion? Cocoa is an anti-wrinkle agent. So by nourishing and restoring your skin you are so helping prevent future damage to your skins elasticity and collagen. OrganicaPure is so much more than just body lotions! On their site, http://www.OrganicaPure.com I have found Organic Shampoo, anti-stretch mark lotion, body wash, and facial cleansers. I can’t wait to try some of their other products. Which one would you be interested in? Teaching your baby to walk can be one of the most joyous times and it’s those milestones that make lasting memories for many years to come. But as we all know, our babies are much shorter than we are so holding their hands as they learn to take their first steps can really be back straining. Juppy Baby Walker has come up with a solution that is unique, adorable, and supportive. The Juppy Baby Walker comes in a strong canvas material and we even had ours embroidered just for Jersey. The sturdy design gives you extra security knowing your little one is safe and snug inside while they learn to take their first steps, and you walk in an upright position. This is a life saver for my back!! I was really impressed with the double security backings. There are not one but two Velcro straps and then they overlap a zipper. Extra security for sure! But the one thing that I found extra adorable and convenient is the neat bag it came in will actually fit perfectly in my purse or the diaper bag. Win win!